MLS# 190002192 - 6619 Three Canyons Ct, San Diego, CA 92130 - Abacus Properties Inc. Courtesy of Keller Williams Carmel Valley, Adam Loew. Secluded like new, custom estate, radiates natural beauty & contemporary style. Entry-level master retreat w/ wood floors & cozy fireplace. Chic master bath has granite counters, marble floors & shower, soaking tub & walk-in closet. Expansive gourmet kitchen offers exquisite imported materials, SubZero + Wolf appliances & huge center island. Vanishing wall sliders lead to outdoor living space with fireplace, TV & BBQ. 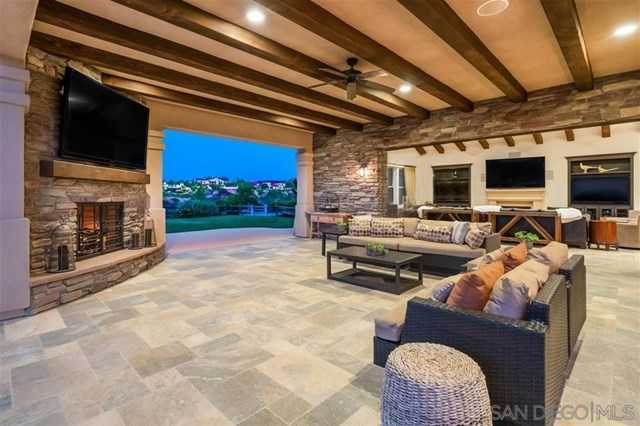 Drought-resistant landscape provides privacy on pool-sized lot w/ stunning canyon views. Please, send me more information on this property: MLS# 190002192 – $3,499,888 – 6619 Three Canyons Ct, San Diego, CA 92130. I would like to schedule a private showing for this property: MLS# 190002192 – $3,499,888 – 6619 Three Canyons Ct, San Diego, CA 92130.